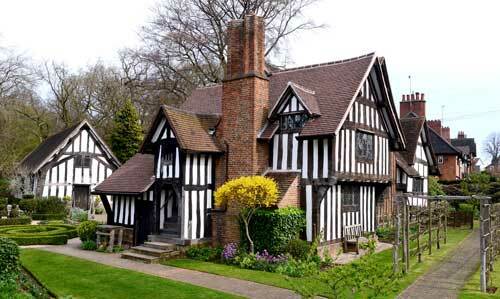 Selly Manor and Minworth Greaves: two half-timbered buildings moved to the site by George Cadbury. Tudor garden. photo - Selly Manor, interior view.